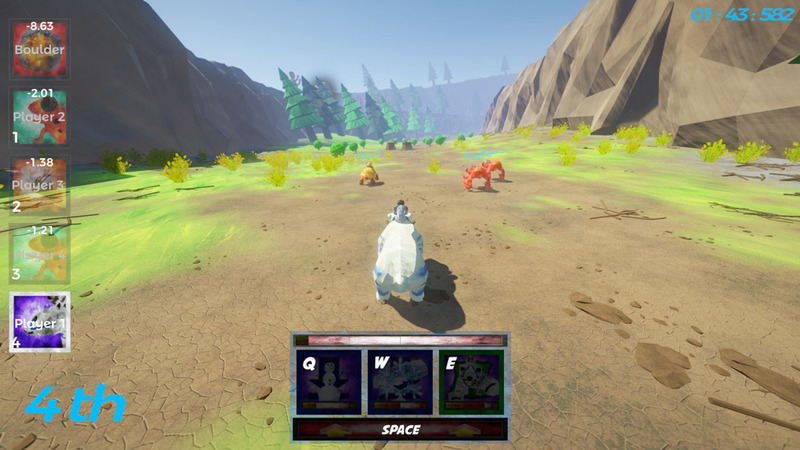 "A very unique racing game where you race on wild animals!" 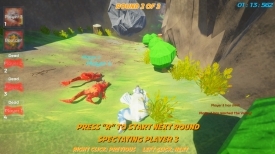 Primal Pursuit (pre-release) is a racing game with a difference where you race on top of a wild animal you have a selection of four different animals to ride on including giant African frogs and polar bears, and the race is not your average race either it’s quite deadly and you will have to try to avoid any obstacles or you may die long before the race is over, each animal you race on has a different set of skills which can be used to your advantage and at least disadvantage if not take down your opponents permanently for the rest of your race, you also will gain adrenaline as your race which means you can use a speed boost which is very handy if you fall behind the other competitors. 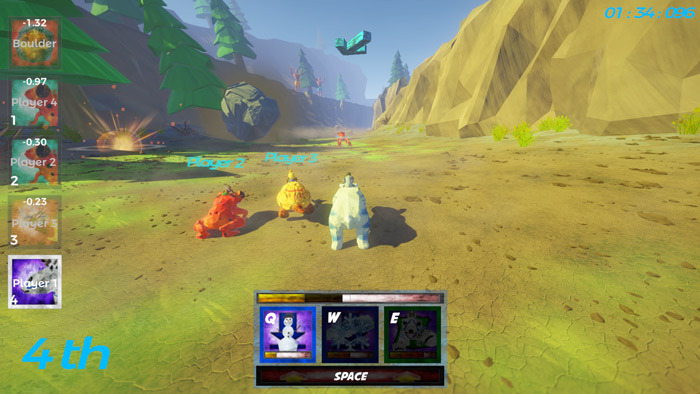 Made by a group of Australian students the game is really nicely polished and a lot of fun as well as being unique especially taking in to consideration that this is still a pre-release and the finishing touches are yet to be put on to the game, it’s also possible to play local multiplayer with a LAN connection or online multiplayer with some of your friends, but just playing against the computer is a lot of fun also however it is fairly challenging and at times the controls can be a little unresponsive hopefully something that will be addressed in the final version of Primal Pursuit. 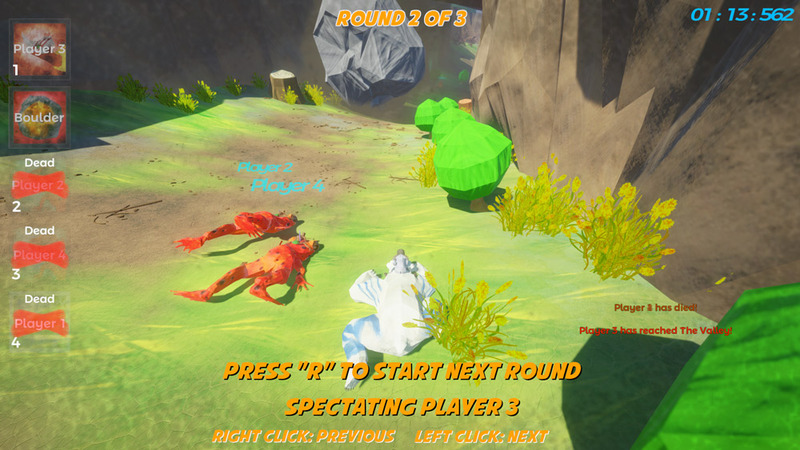 A very different fun and unique game, you can download Primal Pursuit here for free.